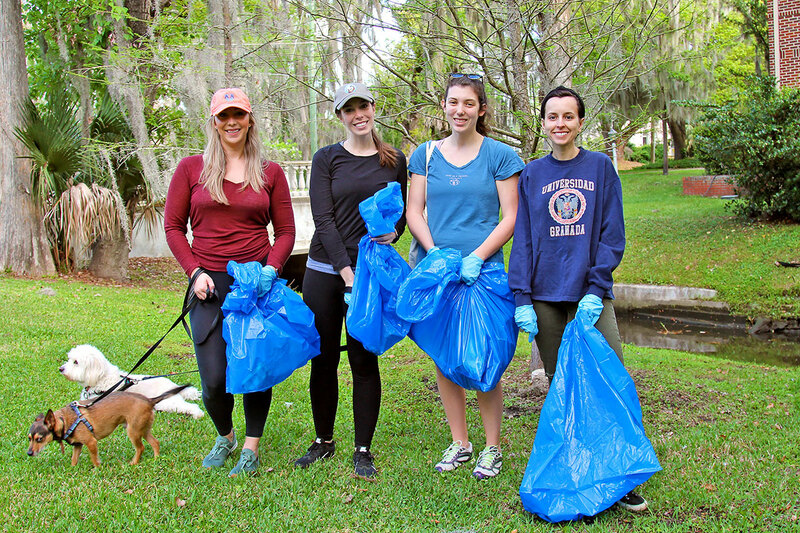 Keep Jacksonville Beautiful cleanup volunteers make city sparkle - The Resident Community News Group, Inc. | The Resident Community News Group, Inc.
Danielle Hicks, Rebecca Rhoda, Kelley Towne and Jennifer Bundy cleaned up the Willow Branch waterway between St. Johns Avenue and Park Street, while Theo (front) and Murph enjoyed the chance to frolic in the parks. 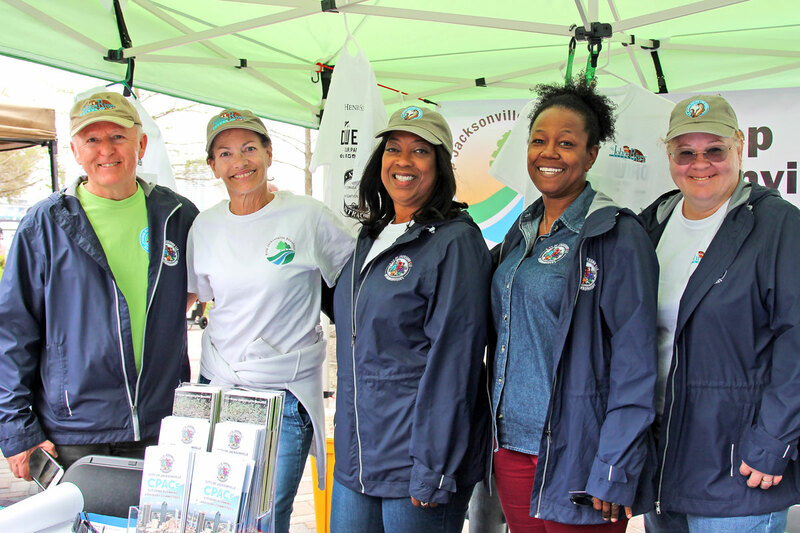 If the St. Johns River’s creeks and tributaries and the city’s parks shine a little brighter these days, it is thanks to the more than 420 volunteers who picked up litter as part of the City of Jacksonville and Keep Jacksonville Beautiful’s 24th Annual Cleanup Day March 16. With 35 cleanup sites city-wide, including 10 in Jacksonville’s historic neighborhoods, volunteers labored for four hours on a Saturday morning logging a total of 1,008 volunteer hours and more than 561.5 bags of trash – a whopping 11,210 pounds – according to statistics provided by Dan Durbec, environmental programs specialist in the City’s Neighborhood Services Office. Durbec estimated the hourly volunteer value to the city at $20,443. Margaret Johnston and her daughter were site captains at the Boone Park Tennis Courts, where they have volunteered as a family since 1994, the year before the first statewide St. Johns River Cleanup. Fourteen volunteers showed up this year to clean Little Fishweir Creek, they said, which contained traffic cones among the usual debris and trash. They also picked up a bagful of trash in the park’s picnic area. Durbec said other oddities were discovered among the garbage collected around the city including six live baby rats at Castaway Island Preserve, a crack pipe and crack bags at Burnett Park in Mandarin, a bowling pin at Fort Caroline National Memorial, a pair of new but “smelly” size 13 Nike shoes at Hanna Park, and 11 bales of hay at the Naval Station Mayport Jetties #3. 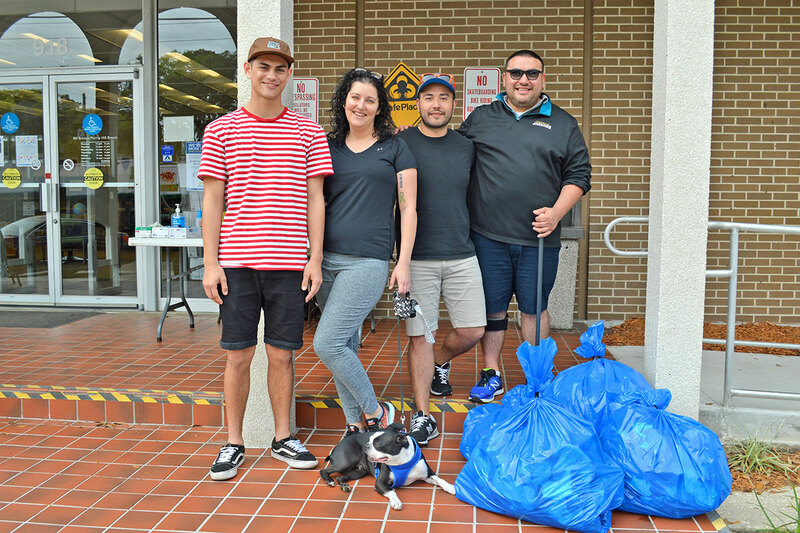 At Craig Creek in San Marco, where San Marco Preservation Society President Bryan Mickler served as site captain, only six dedicated volunteers were present to collect two bags of trash. “I was a little disappointed in the turnout but was very happy with the people who showed up,” he said, attributing the lack of enthusiasm to The Players Championship and spring break. Among the volunteers were Sandy Myers of San Marco and St. Johns Riverkeeper Lisa Rinaman and her son, Mark, of Springfield. Several of the cleanup crews said the parks were in very good shape, and there was not a lot of trash. “That means we’ve been successful over the years,” said Star Bradshaw, site co-captain in Memorial Park. St. Johns Riverkeeper Lisa Rinaman and her son, Mark, paddle in San Marco’s Craig Creek looking for trash. 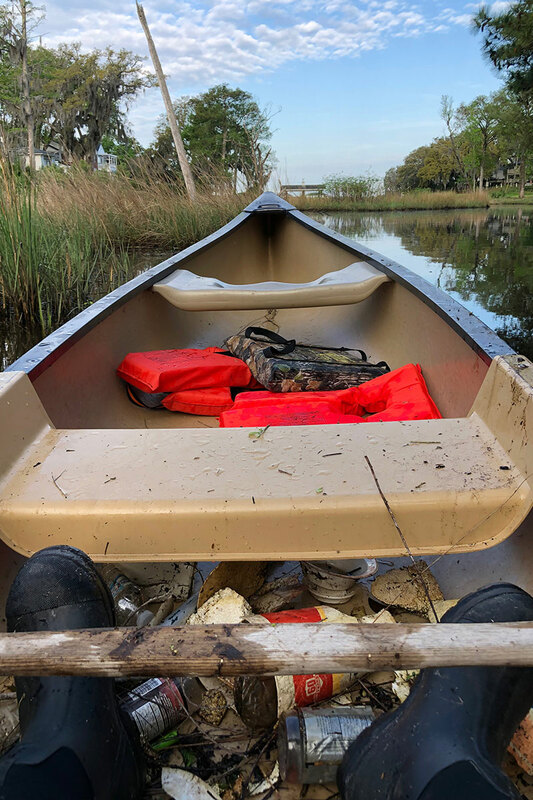 Trash from San Marco’s Craig Creek lines the bottom of Bryan Mickler’s canoe. 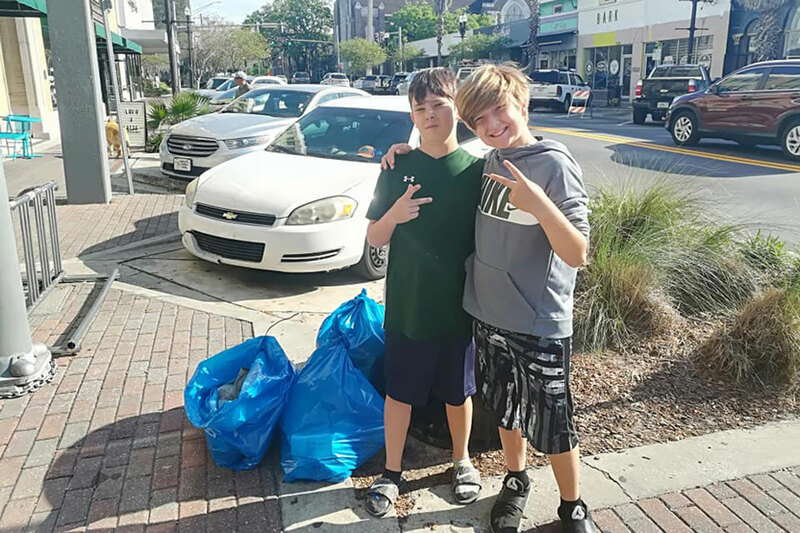 Eli Orth and Max Payne helped pick up cigarette butts and other trash in 5 Points during the annual St. Johns River Cleanup. 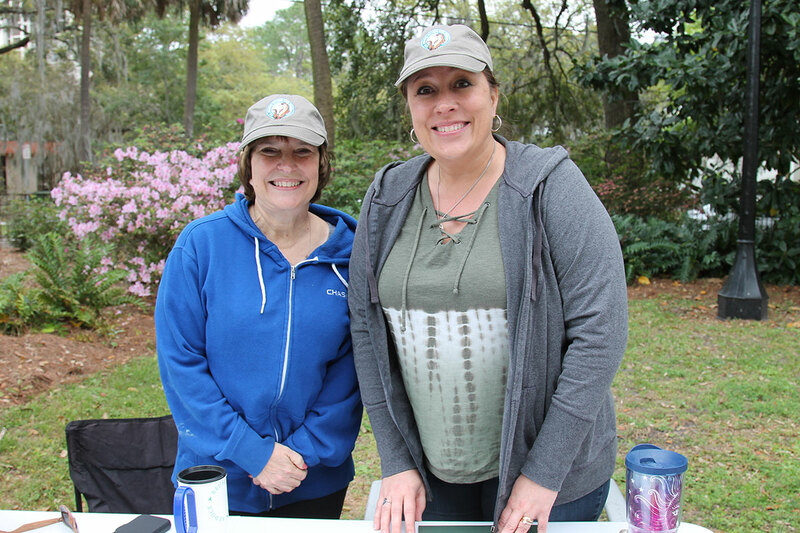 Denise Jump and Star Bradshaw served as site captains in Memorial Park for the annual St. John River Cleanup. Among the typical trash of cigarette butts, plastic water bottles and paper, they said volunteers found a rug and a lot of artificial flowers in Memorial Park. 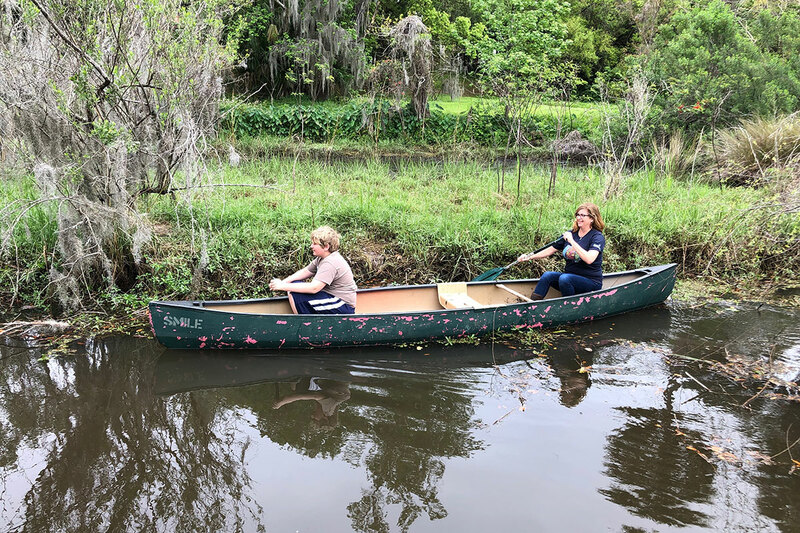 Julie Hatcher, left, with her sister, Jeanine Harding, clean up Azalea Creek, a small waterway they played in as children. This is the first year they have participated in the St. John River Cleanup and said they found a metal pipe, a sock, baseball cap and ball, glass bottles and soda cans, wire, and a lot of plastic bags in the creek. 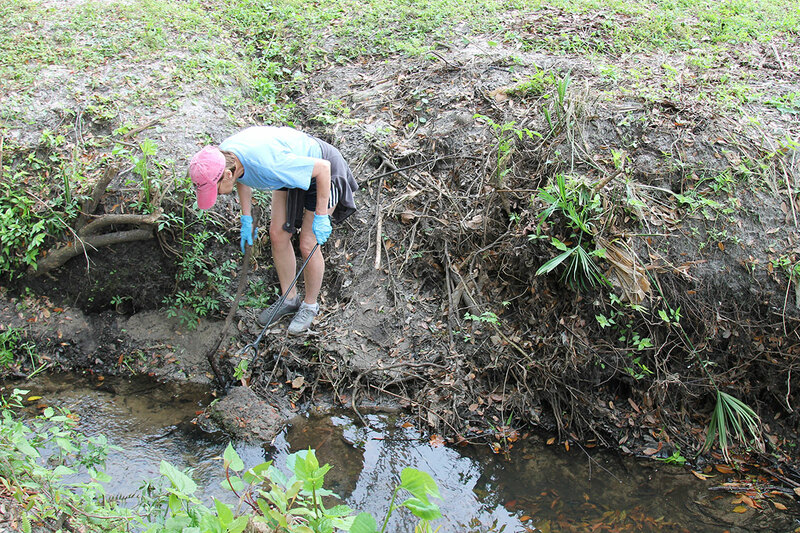 Jeanine Harding removes trash from Little Fishweir Creek, also known as Azalea Creek, in Avondale. 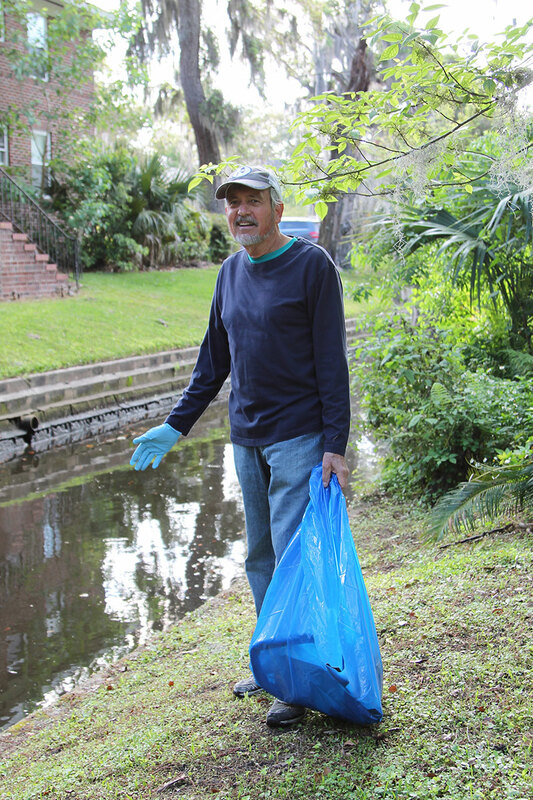 Southside resident Richard Skule said he has participated in the annual St. John River Cleanup for more than 11 years, trying a different park each year. This year he came over to Riverside to pull trash and debris from Willow Branch.